Through a partnership with a company called The Recycling Factory, you have for a number of year been able to earn Clubcard points for old printer ink cartridges! Full details of the scheme are here. 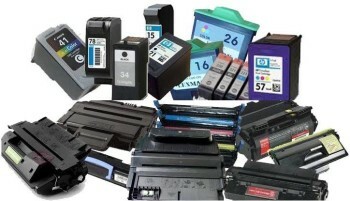 Each cartridge earns up to 125 Clubcard points if it arrives in good enough condition to recycle. Pre-paid envelopes are used to post the cartridges so you are not out of pocket – these can be found in Tesco stores or requested from The Recycling Factory. If your printer used 10 cartridges a year, and they are of a type which Tesco accepts, you will do OK. This can be scaled up though! Some people have mastered the art of buying empty cartridges on ebay and then submitted them for recycling. You can do a search on ebay automatically by clicking here. Be especially careful of not buying the temporary cartridges which come with new printers. Often marked SETUP or INTRO, these will be rejected. Set a firm cap on what you are willing to pay for a cartridge, factoring in non-qualifying ones and – of course – an allowance for the time and effort you are putting in. Part of this will depend on how you use your Clubcard points and whether you tend to use them for 2x or 3x Boost deals. It is not easy, but if you are willing to put in a bit of time then you could give your points pile a decent boost.